Does Lottery Slayer Really Work? Read 2 Reviews! LotterySlayer calls itself "the most advanced lottery statistical program available" on the market. It can be used for playing Pick3, Pick 4, Pick 5, Pick 6, Mega Millions and Powerball. Are you looking for a way to shortcut winning lotteries? Lottery Slayer claims it is the most advanced lottery statistical program available. They say “understanding number relationships helps you increase the odds of winning and helps determine which number combination’s to play.” But that’s not all. They also say it can be used when playing any lottery game, Pick3, Pick 4, Pick 5, Pick 6, and lotto games like Mega Millions and Power Ball. Do you have your credit card ready? Put it away. With a site that is pretty clean, Lottery Slayer is a simple number predicting software for lotteries using past results. It adds a bonus of last draws, numylzer program and frequency checker. All these do are look at past drawn numbers, trends on numbers, and predicting what numbers will be drawn next which their Lottery Slayer software is supposed to do. They suggest that anyone who signs up does so with the support of their members’ only site as the information on trends based on existing lotteries updates regularly. According to Lottery Slayer, the Quick Pick system as an absolute evil and warn players to avoid it at all costs because it will bring nothing but an endless string of losing tickets. They ask the question “why should lottery players use their software” and then they immediately come up with the answer of “Because it works!”. I did like their online video explaining how it works. The guy’s voice droned on and on without actually saying much. They also list towards the bottom of their website winners though this has nothing to do with Lottery Slayer. If you have any complaints (or questions), the only way to get in touch with Lottery Slayer is through an email address. Though they say they will respond within 24 hours, they do point out it will be longer on weekends. We did find one complaint though it was a rant on Lottery Slayer and their claims. I no longer consider this to be a bad thing because the explanation is more straightforward than some would think. It is the lack of clients that is responsible for so few complaints. Is Lottery Slayer Worth your Money? This was when Lottery Slayer lost me. 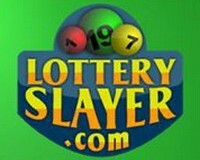 On their website, they say you can purchase Lottery Slayer for the sum of $57 with a thirty day back guarantee. There is a heap of blah, blah, blah which some people would not make it through and then they say you can get it for $97 with lifelong access to their members’ only site. It doesn’t stop there. The next offer is for $49 which includes one month access to their members’ only site. Please put your credit card away and stop now. Whatever the best deal is, it’s not the deal for you unless you enjoy playing with number statistics. 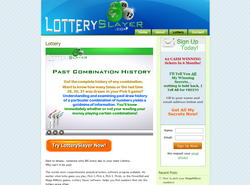 Lottery Slayer is a numeric software that plays with past results of lotteries. That could be interesting if you are into mathematics, but I haven’t heard anyone who won a big lottery jackpot this way much less simply won progressively. I suggest saving you money for playing online lotteries! Very poor system, not worth even using! As a number generator using previous lotteries, this looked like a pretty good site. But the cost is definitely crazy. I get that they have to continually update it, but the whole idea of paying for this doesn’t make sense. If you’re really into looking at past results, it’s cheaper to plug in the numbers yourself!